Anger is a natural and important emotion. Everyone feels angry at times, but it is our ability to manage this emotion and what we do with it, that counts. If you find your anger takes over you when faced with confrontation or difficult situations, this could affect how you feel about yourself, as well as affecting your relationships with others at home and at work. You should consider looking at the way in which you handle your anger. Anger is a powerful emotion and many people have negative associations with it. We tend to experience anger when in difficult situations if we feel rejected, excluded, disappointed or hurt in some way. It is important to recognise and feel anger in these situations, as it is a way of looking after ourselves and acknowledging that we matter to ourselves. Anger used in a positive sense can motivate us and give us energy. It is, however, also important to manage our anger and avoid destructive behaviour in response. It is our reaction to what is happening that makes us angry, not the people or situations themselves. People are all different and react to stressful situations in various ways. Some people may stay calm, others may become aggressive and seem to be out of control. It is important to be aware of our anger. Suppressing it often means that we explode when suddenly it can all feel like too much. Suppressed anger is as problematic as “out of control” anger, both can have implications for our health and well-being. 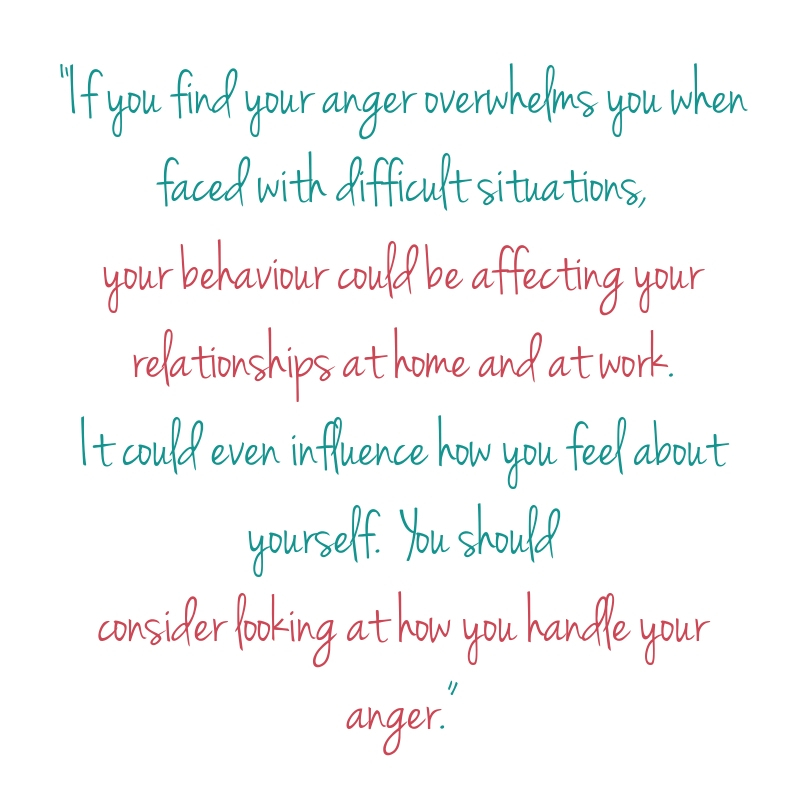 If you find your anger overwhelms you when faced with difficult situations, your behaviour could well be affecting your relationships at home and at work. It could even affect how you feel about yourself. You should consider looking at the way you handle your anger. Counselling sessions can be very helpful in managing anger. Your counsellor will be interested in what it is that is making you angry. Your counsellor can help you to understand your behavioural patterns and to identify what triggers your anger. 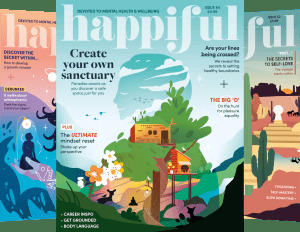 In response to what you have brought, they can work with you to formulate alternative ways of dealing with your anger and new patterns of behaviour, exploring ways of remaining calm and looking after yourself. It can also be helpful to understand how your attitude towards anger has been shaped by your upbringing and family environment. The behaviour of other family members has a profound influence as we grow up on our own attitudes to ourselves and how we behave towards others. We can be “taught” in childhood through our observations of family members to become aggressive when angry, or to suppress feelings, becoming resentful and frustrated as a result. Over the longer term, whatever our approach has been, our self-esteem health and relationship with others can suffer. We cannot change what happened in the past but if we ignore our past we can end up recreating it for ourselves in negative ways. Exploration in a non-judgmental setting can enable us to understand and make changes to how we relate to ourselves and others. We can find more space within ourselves to act as we would like rather than react angrily. What is currently causing difficulty can become manageable as we realise that we do not have to be dictated to by our feelings of anger. We can gain freedom and flexibility in our responses and dealings with ourselves and others.